By Melissa Lennig on November 26, 2016 Leave a Comment. This content contains affiliate links. As an Amazon Associate I earn from qualifying purchases. Are you getting ready for holiday baking? 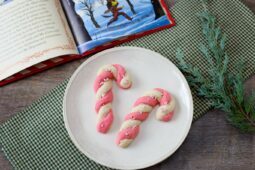 These decorated Peppermint Candy Cane Cookies are a Christmas crowd-pleaser, especially with kids! 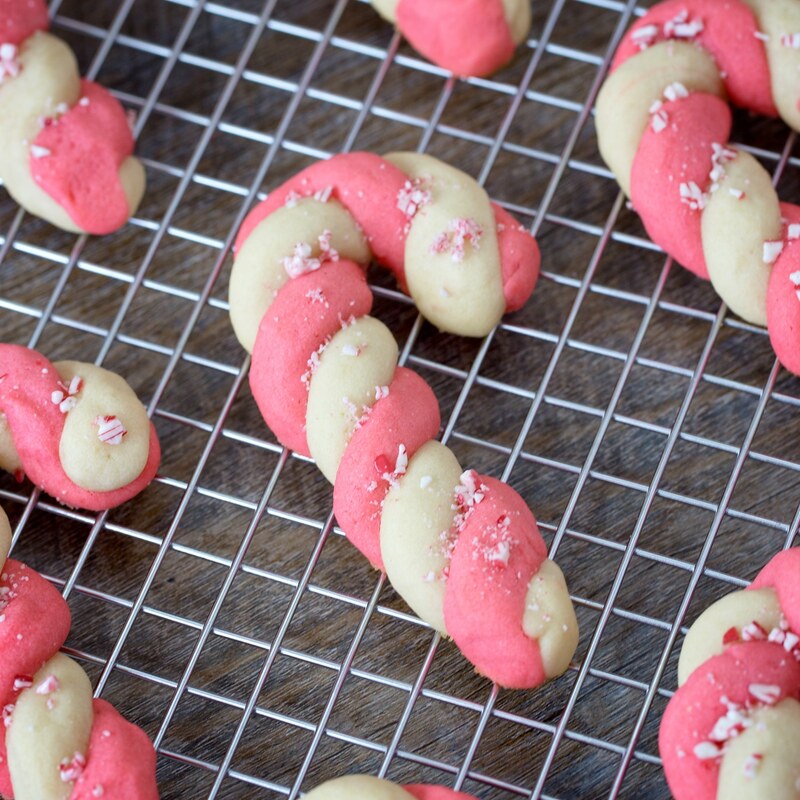 Boasting sweet mint flavor and crushed candy canes, they are guaranteed to bring on the smiles. 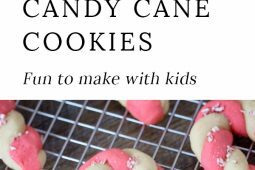 Every holiday season, my youngest son asks, “When are you making the candy cane cookies, Mommy?” He is just as delighted by them as I was at his age. This Christmas classic is packed with real peppermint flavor, perfectly blended with comforting vanilla and sweet, crunchy candy canes. They will go fast, so don’t forget to double your batch so you have enough for friends, neighbors, and cookie exchanges. 1. Cream the powdered sugar and butter together in a standing mixer. Beat in the egg, vanilla extract, and peppermint extract. Blend in the flour and salt. 2. Divide the dough into two separate bowls, adding red food coloring to one of them. Mix the food coloring into the dough until you’re satisfied with the tint. TIP: Artificial dye-free kids? Try this natural alternative. 3. Use a cookie scoop to create prepared balls of dough, ready to be twisted together into candy canes. When all of the dough has been scooped, gently begin rolling the dough into ropes. 4. Place one white rope and one red rope next to each other, then carefully twist the dough into a candy cane shape. Gently press the ends together so the candy cane does not separate while baking. 5. Bake the cookies at 350° for 8–10 minutes on a parchment lined pan, being mindful not to overcook the dough. 6. 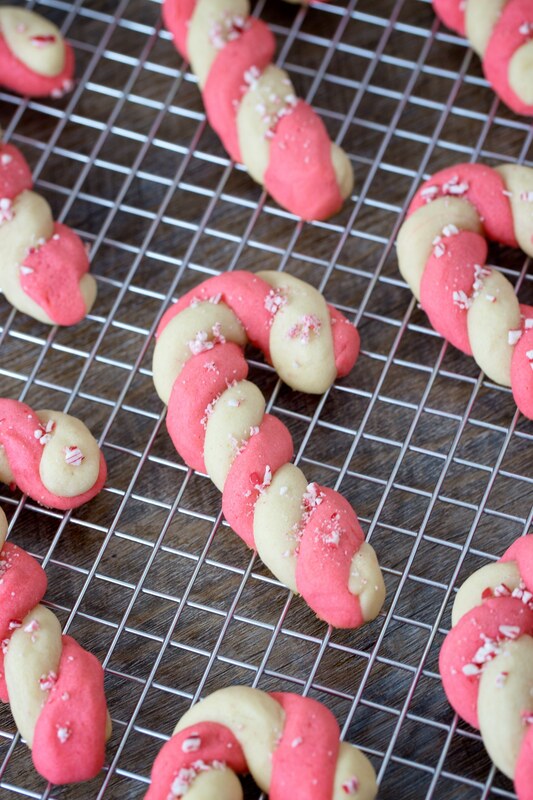 Sprinkle crushed candy canes over the hot, freshly baked cookies, then allow the cookies to cool completely before moving them to a wire rack. 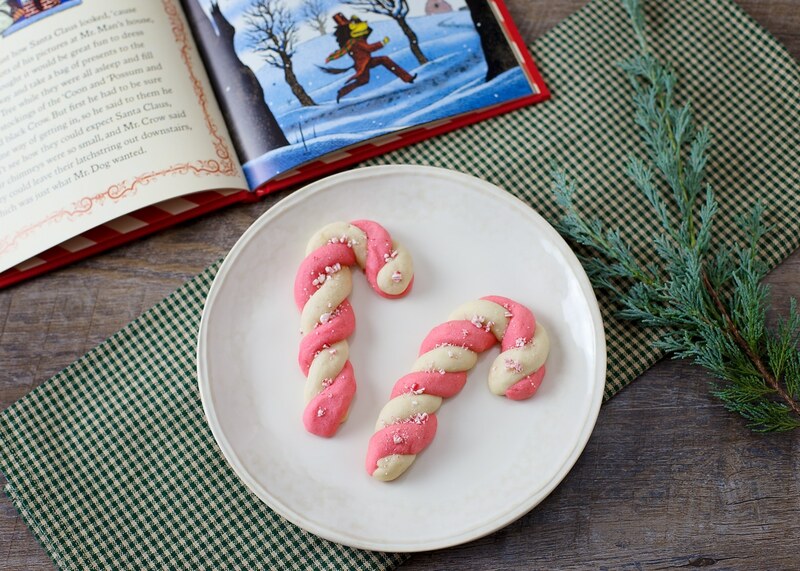 Peppermint candy cane cookies are best served with hot chocolate and a heartwarming Christmas book. This holiday season we are really enjoying Mr. Dog’s Christmas by Albert Bigalow Paine. These cookies also freeze well, making them a convenient and beautiful addition to holiday cookie trays when company calls! Don’t forget to save this recipe on Pinterest for later! Be sure you are following along with Fireflies and Mud Pies here. Getting ready for holiday baking? 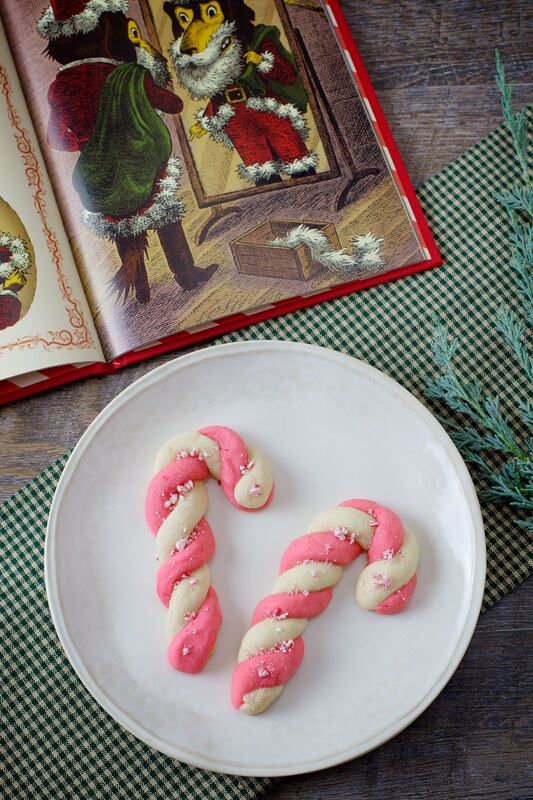 These classic decorated Peppermint Candy Cane Cookies are a Christmas crowd-pleaser, especially with kids! Cream the powdered sugar and butter together in a standing mixer. Beat in the egg, vanilla extract, and peppermint extract. Blend in the flour and salt. 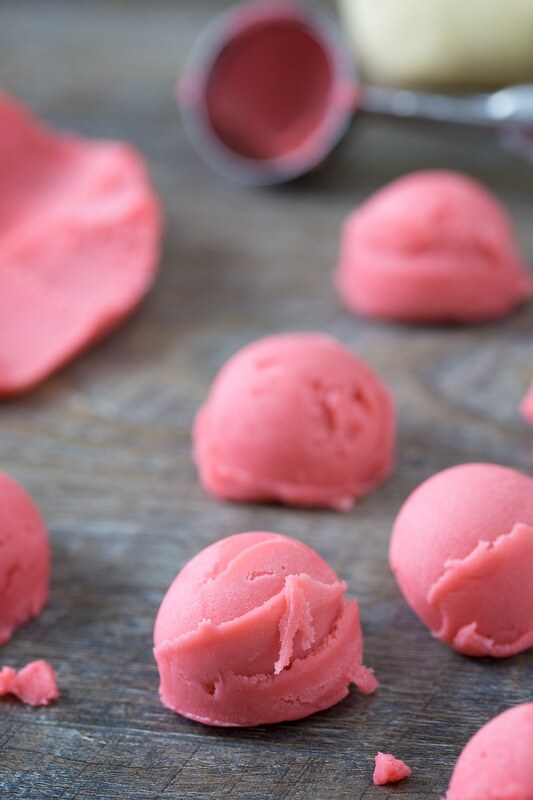 Divide the dough into two separate bowls, adding red food coloring to one of them. Mix the food coloring into the dough until you're satisfied with the tint. 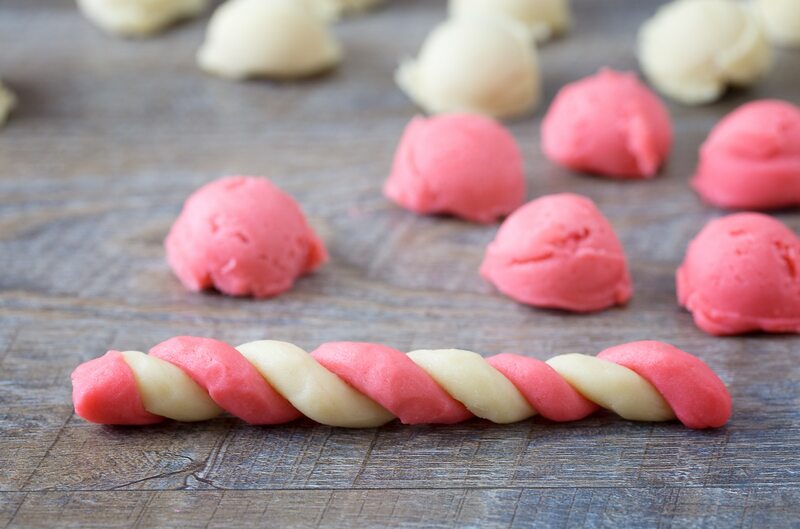 Use a cookie scoop to create prepared balls of dough, ready to be twisted together into candy canes. When all of the dough has been scooped, gently begin rolling the dough into ropes. Place one white rope and one red rope next to each other, then carefully twist the dough into a candy cane shape. Gently press the ends together so the candy cane does not separate while baking. Bake the cookies at 350° for 8–10 minutes on a parchment lined pan, being mindful not to overcook the dough. Sprinkle crushed candy canes over the hot, freshly baked cookies, then allow the cookies to cool completely before moving them to a wire rack.